Monjayaki vs Okonomiyaki: Which one is the perfect Japanese savoury "pancake" for you? Okonomiyaki is well-known both locally and internationally, but if you visit the Kanto area, you'll most likely be introduced to its less famous counterpart: Monjayaki. Keep reading to make your own conclusion about which one is the perfect Japanese souvery pancake for you! 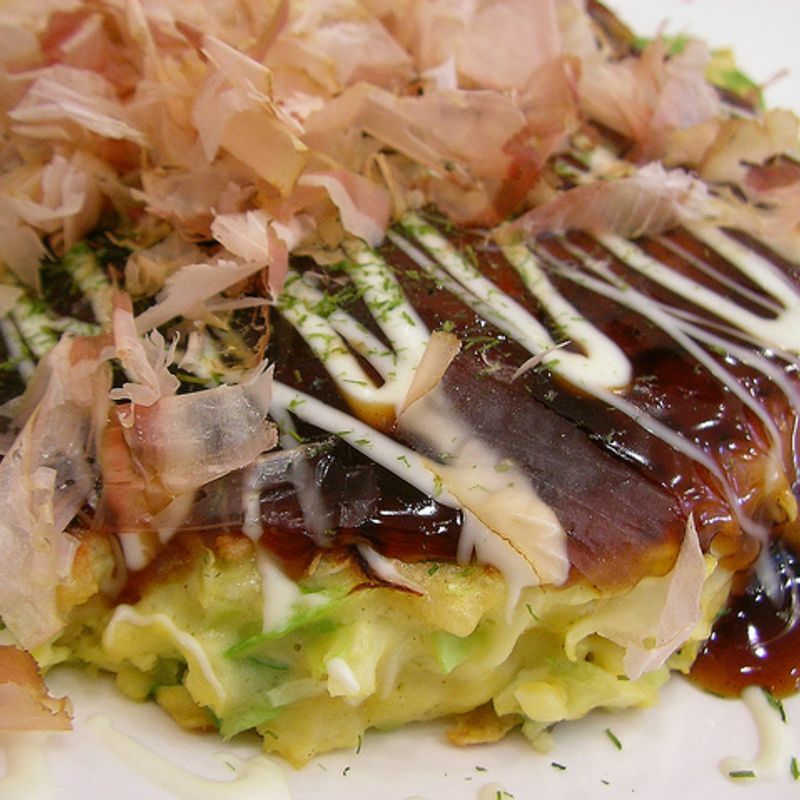 While okonomiyaki is popular in the Kansai and Hiroshima area, monjayaki is popular in the Kanto (Tokyo) area. Although both are eaten everywhere in Japan, many people tend to favour one type over the other based on their personal taste. Prices of both vary depending on which restaurant you choose, and whether or not it's a buffet. Generally speaking, restaurants offer both types simultaneously, and their prices vary depending on the ingredients included in the batter, rather than if it's monjayaki or okonomiyaki. 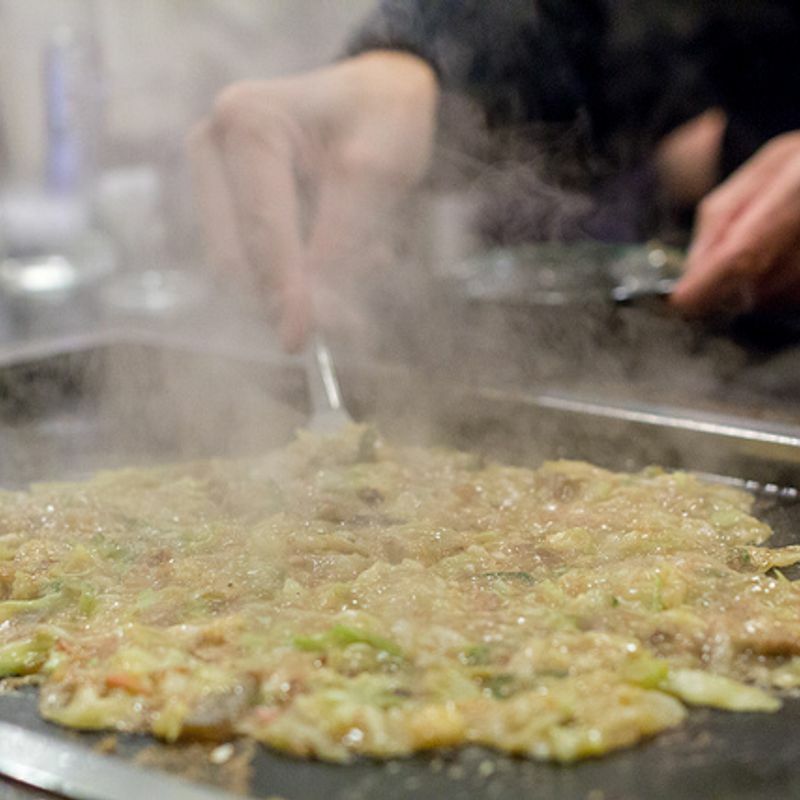 Although the base ingredients of both monjayaki and okonomiyaki is pretty much the same, okonomiyaki tend to have more ingredients. More water or dashi is added to monjayaki, and the okonomi sauce is added into the batter of monjayaki, rather than added before eating like okonomiyaki. Although both types require to be cooked with a special grill, monjayaki is typically more difficult to make because its cooker needs to make sure all the ingredients are finely chopped and mixed, which can be done by the spatulas once on the grill. Also, Okonomiyaki can be made by either the cook or the diners, while monjayaki are typically a do-it-yourself meal. Because monjayaki base is mostly just water and flour, the mixture can be quite chewy, and the longer it is grilled, the crispier it becomes. Monjayaki taste: Slightly stronger okonomi sauce taste due to it being mixed into the flour+water batter. Okonomiyaki are cooked by alternating between 2 sides (top and bottom), so these parts can become crispy if grilled enough. However, not all the ingredients will be finely chopped and cooked directly on the grill throughout the whole time, so the ingredients in the middle will be softer compare to the edges. Okonomiyaki taste: Slightly weaker okonomi sauce taste due to it being poured on top. Mayonnaise and egg can also weaken the saltiness of the sauce. I've always been interested in okonomiyaki before coming to Japan because of its appearance in different manga/anime, but after trying out both monjayaki and okonomiyaki, I have to say I like monjayaki better. One is not better than the other; it really comes down to which texture and how salty one likes their food. It's not the prettiest to look at... but don't judge a book by its cover!